A Haiku Garden – Published! 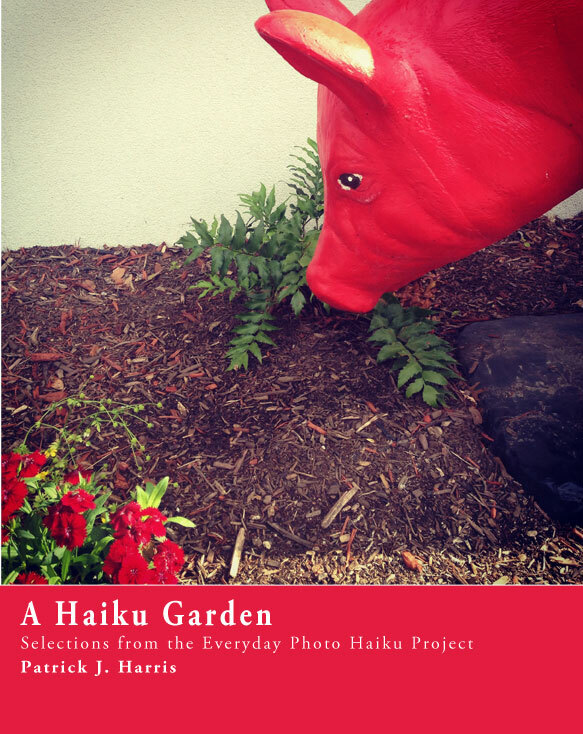 A Haiku Garden: Selections from the Everyday Photo Haiku Project is published on Amazon! I created the book, which contains 104 of the most interesting photo haiku from the project. All photos and haiku done on an iPhone (4s then 6). Art, Books, Creativity, Personal Projects book, haiku, iphone, photography, poetry, self publish Comments Off on A Haiku Garden – Published! For some time, I’ve been meaning to play with web friendly mapping and visualization tools such as d3.js, datamaps.js or crosslet.js. 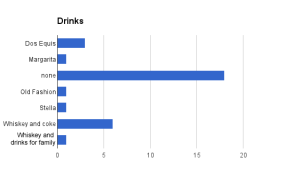 D3 is quickly becoming the defacto standard for displaying statistical visualizations on the web, and other libraries are hooking in to add additional capabilities, like mapping. Communicating data effectively is the future, if not right now, and being able to get that data on to the web efficiently is a valuable skill. Like all skills, you need experience, and as a beginner it’s often best to dive in and muck around. It’s helpful, too, to have a purpose, or an itch to scratch when playing around with new tools. In my case, I wanted to create a map of countries that produce whisk(e)y. First, I needed which countries produced whiskey. There’s no real definitive list, thus I used a composite of sources. And by produce, I mean distill. 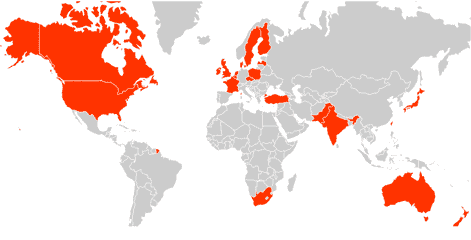 Also, I may have missed some countries or left them off if I could not corroborate what info I did find. Note, Scotland, Wales, England are part of the United Kingdom. Datamaps.js can also add other contextual information in its rollover of a country. Say you know how many distilleries there are for a country, you can add an additional property. Below is a screenshot of the map. Click here to view the map of whiskey producers in the world. Countries colored red are those that distill whisk(e)y.
Thirty one days span the month of August. In those thirty one days, I saw, experienced, and absorbed live music. Everyday. The days ranged from loud, raucous, sweaty, boozy, sober, smokey, smoke-free, quiet, infectious, challenging, enthralling, boring, fun. 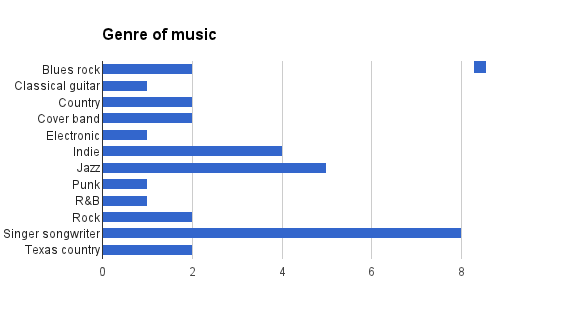 Much like a mix cd with thirty one tracks, some shows surprised me with how much I enjoyed them, while others I bided my time to meet my minimum. For a show to “count”, either a set or 45 minutes must pass. Occasionally, I stayed longer, especially if it was a Friday or Saturday night and more than one band lined the bill. The other rule I kept myself to (for the most part) was to only go to a particular venue once a week. 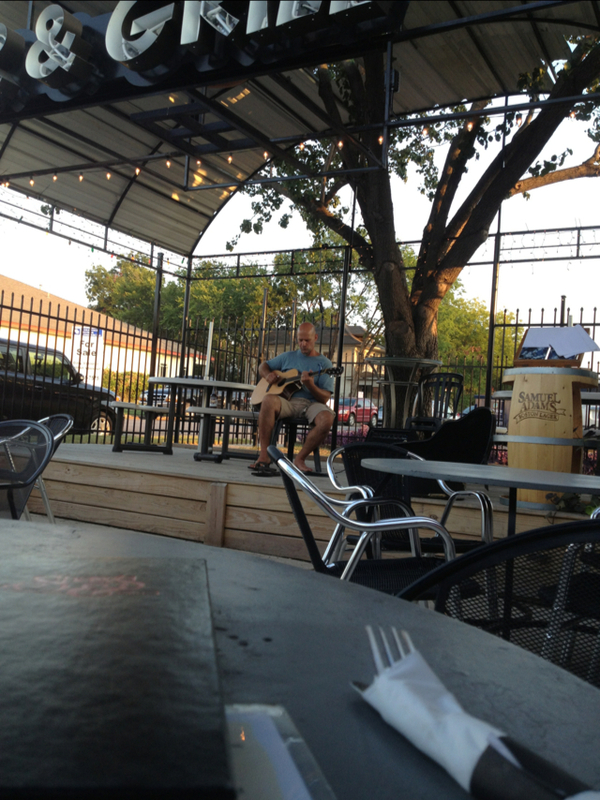 I could easily venture to The Live Oak two or three times a week and see live music. 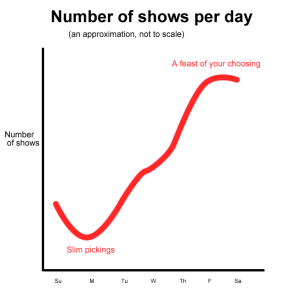 The idea of see a full month’s worth of live music stuck with me since I read about a guy who saw a 100 bands in 100 days (which spanned oceans). My ambitions never pushed me to go for 100 days, but doing a marathon month of consecutive live music concerts seemed doable. And with my recent move to a more central part of Fort Worth, the goal appeared attainable. August approached, and with no significant travels, I committed myself to the challenge. The challenge began on a sweltering patio of 100 plus degree heat with the sparse acoustics of Terry Rasor and ended with Fou’s dream pop, in the final hours of the last day, as the TCU and LSU football game took an ESPN sanctioned long halftime. All along the trek, I kept track of who I saw, the venue, how much I paid for a ticket, food, or drink. I only paid to get in to a show five times. Sometimes, I only bought a drink, or if family joined, I bought food and drinks. Ten times, I paid no cover and did not buy a drink. All in all, I spent $344 on the months concert related entertainment. $55 for cover/tickets, $289 for food and drink. To discovery my daily concert entertainment, I relied primarily on Fort Live. DFW.com lacked the depth of concert listings and Worthgoing.com contained hardly any listings. Daily, I’d check Fort Live, peruse the weekly picks and listings, playing a game of logistics in my head. 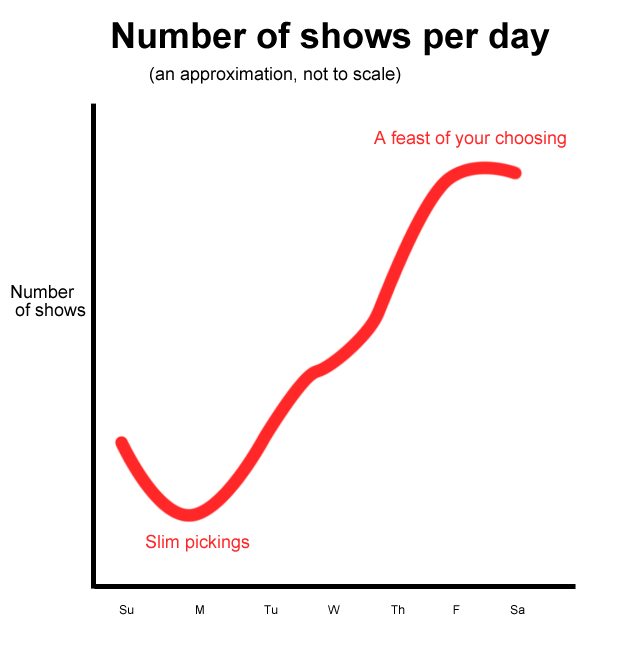 My main criteria was “is there a show at a decent time”? 9:30pm shows on Tuesday for my cube dwelling soul would wear me down quickly. Alternatively, I sought out afternoon shows on the weekends in order to kick back in the evening. My second criteria considered the venues, in my attempts to not go to the same venue more than once a week. 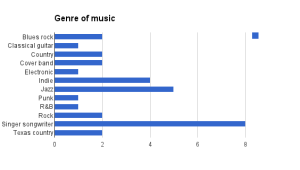 When I had some leeway with my first two options, I mapped out the distance and if the artist might be interesting, checking out the venue and Google the artists for samples to get a sense of what they sounded like. As an aside, this is the part where I confess my disdain for the Stockyards. It breathes character, thrills the tourists, and stands as living history of Fort Worth. A half dozen live music venues call the Stockyards home. However, as a wheelchair user, it’s borderline accessible, uncomfortable to stroll around (bumpity bumpity BU-UMP bump), and accessible parking is about as common as milk in a saloon. What I’m saying is: I avoided shows in the Stockyards, except for a fun family Sunday adventure to the Whiskey Girl Saloon, where my father asked for an Arnold Palmer. 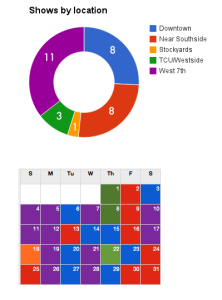 Using Fort Live’s geographical breakdown, most shows I attended happened in the West 7th, Near Southside and Downtown areas. 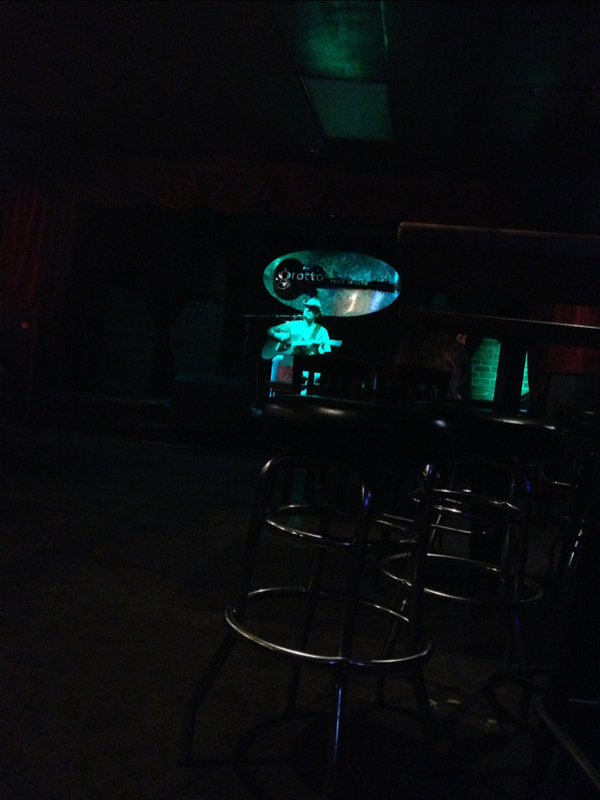 I made it to 19 different venues, several of which were new to me. Queen City impressed, Mambo’s felt weird, and Chubby’s was chill. I didn’t make it to marquee venues such as Lola’s, Tomcats, Rail Club, Wherehouse, Billy Bob’s or the Aardvark. Some are just plain inaccessible–The Cellar, Basement Bar and 1919 Hemphill. For 1919 Hemphill, I fully prepped myself for 45 minutes of metal, only to find a stairway leading up to a room of shredding guitars. But what about the music in the rooms (or field) I did make it into? The music range from enthralling (Jessie Frye), captivating (Michael Hearne), okay (Bobby Duncan), tolerable (The Phuss), fun (Leftover Cuties), surprising (jazz quartet at the library). I focused on finding a way to appreciate every act I saw, even those I did not like (The Phuss, Bobby Duncan, CiCLOP). These are people out there making something, putting effort into creating music. That takes skill, a mix of musical instrument proficiency and confidence to perform in front of people. Aside from Cookie Monster, if you’re someone who loves cookies, you’re not going to love all cookies are you? With a little digging, it’s easy to see how vibrant of a local music scene Fort Worth holds. The best singer songwriters regularly make appearances at The Grotto. During a soulful set by Kilane (I’m still not 100% sure on her name, but she was amazing), she sang a ballad about she and her husband. I couldn’t help but also notice a lesbian couple holding each other close during the song. 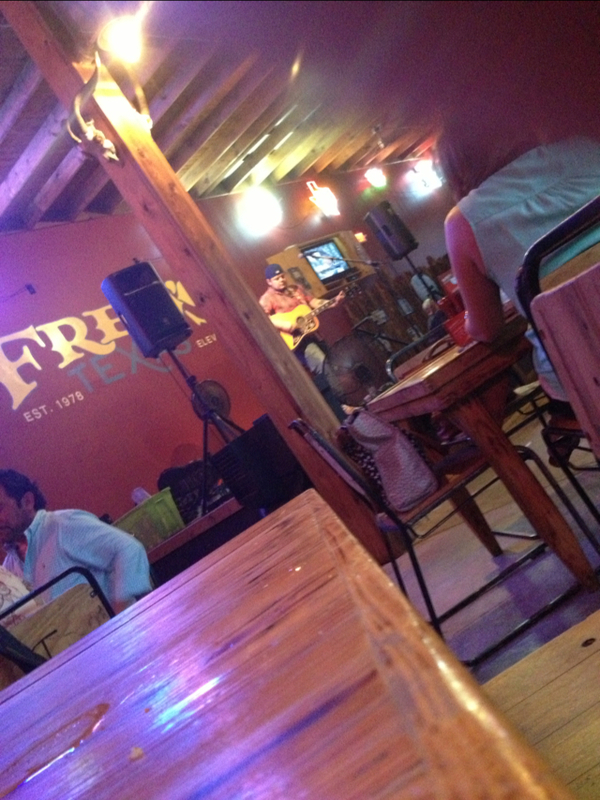 At Fred’s, Joey Greene led an earnest sing along of Eli Young Band’s “Even if it Breaks Your Heart”. Grizzled veteran Terry Rasor brings a partner for an honest set of unplugged Texas Country. Even when the bands are plugged in, The Live Oak welcomes the indie bands. During Leftover Cuties’ set, I witnessed a first date (it HAD to be a first date) between two high schoolers. Buttons hosts the funk and soul, and judging by the 200 plus people crammed into the downtown library’s grand atrium, the city nicknamed Cowtown has a love affair with Jazz. The metalheads roam clubs, too, although I never made it out to see any of them. The Stockyards remains well stocked with various takes on country. Across it all, there’s something for everyone. Monday ekes out a half dozen shows, but by Friday and Saturday, 70 or more live music shows strike out into the night. I’d be willing to bet, on a per capita basis, that’s high for a city the size of Fort Worth. Maybe someone smarter than myself can figure out that math. For thirty one days, I used a calculus of internet searching, interest and commitment to see this through. There are many things we do every day, and there are some things we do occasionally. 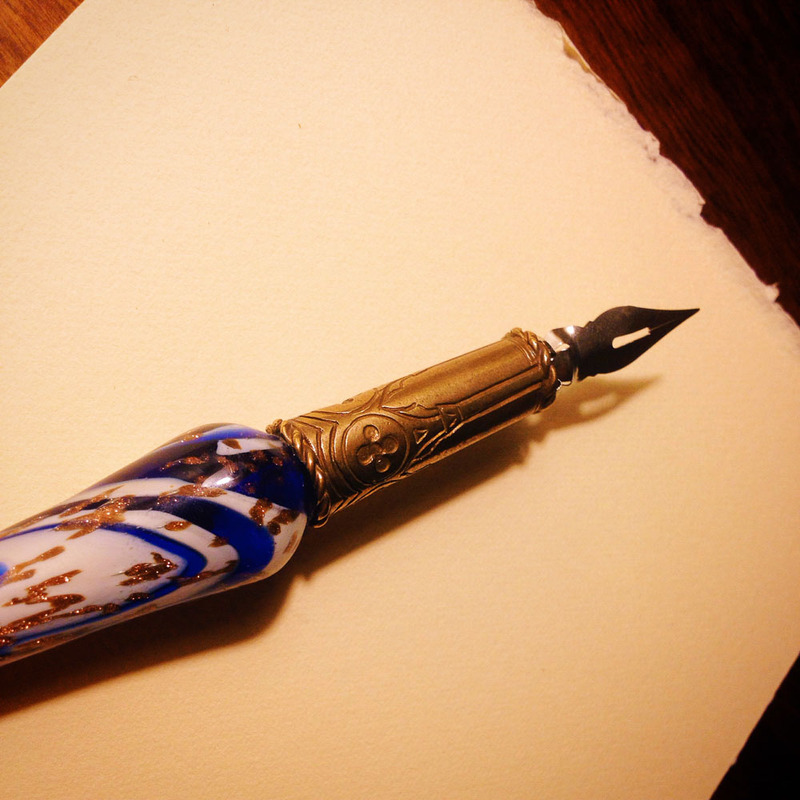 To consistently do the things we do occasionally, and make a habit of doing them, takes a certain amount of fortitude. This wasn’t a do or die thing. It was fun, with a degree of serendipity, and I could quit any time and say, “meh, I’ll watch some Netflix tonight”. Life is purposeful. You choose it. 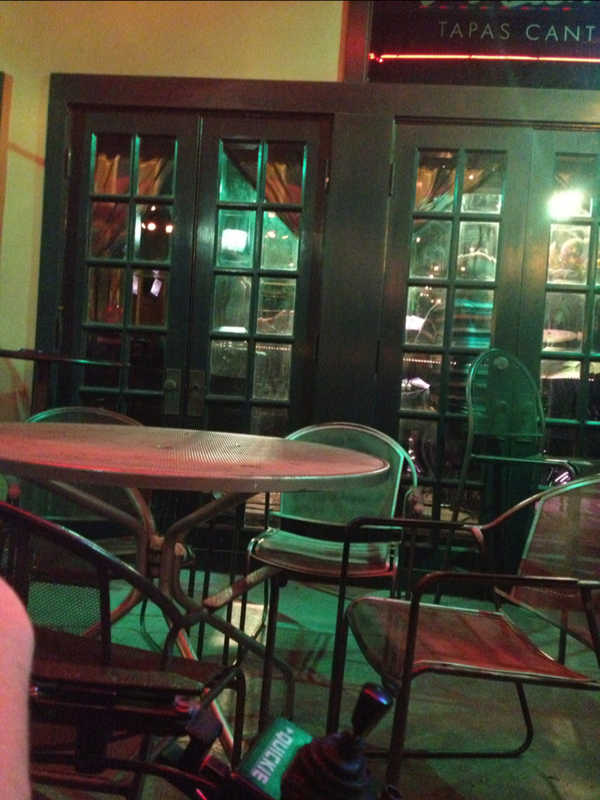 During the TCU-LSU halftime, I rolled down to Zio Carlos’s to catch Fou. 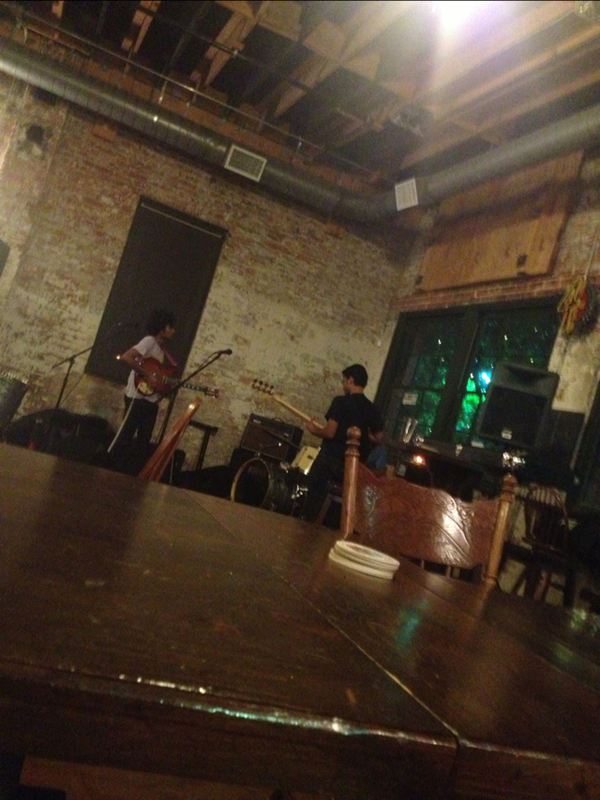 The three piece played jangly dream pop as part of a benefit show for To Write Love on Her Arms. Thus mark’s the end of 31 straight days of live music. For the third time, I ventured to a patio show when the temperature read 100 plus degrees. Darrin Kobetich cooly played acoustic guitar instrumental songs with a classic guitar bent. One song, used the entire guitar, creating what sounded like three instruments. He tapped and thumped the body of the guitar while strumming and hammering down on the fretboard. Very cool effect. Joey Green strums a guitar laying tunes in the alt country vibe of Ryan Adams. He played a well received cover of Eli Young Band’s “Even if it Breaks Your Heart”. Great voice, definitely a rocker vibe. Very gritty cover of All Along the Watchtower. Closed set with an Alice in Chains song (and I’m blanking on the name of it). Really great guitar playing, getting a wide range of sound from the low and high end.